A clean mystery about good God fearing people, Mitch Albom’s latest book was interesting and thought provoking. I am not one to guess the outcome of books and I did not in this one either. The author kept the story moving, tamed the cast of characters and allowed the reader to insert themselves in such an interesting situation. This book added to quite the discussion at our house. My favorite parts though were the little Alexander Graham Bell snippets intertwined within the story. What a basket of juicy little historical facts!! 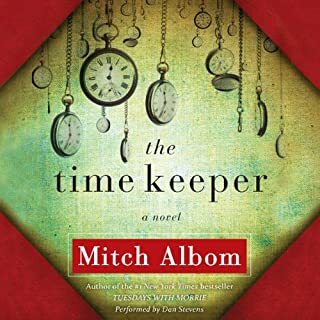 Mitch Albom does not have a believable voice for fiction. He comes across as a motivational speaker not a fictional story teller. Mix that with a Heaven topic and the first few chapters I had keep convincing myself over and over that I did actually have a fictional book and not something that was soon going to turn into a sermon. It doesn't. It actually turns intoa good mystery. I got to mention the sound effects. This book uses them A LOT. The first few chapters the sound effects verge on annoying. Then they stop or you can see a ringing phone or doorbell coming. Towards the end of the book I was listening in the middle of the night when someone knocked on the door (in the book) and jumped a foot off the bed. Totally scared me to death. 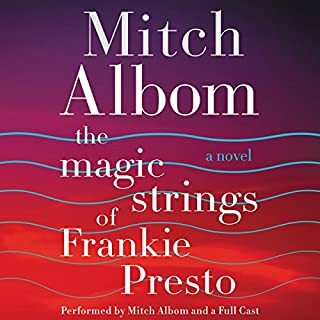 I have to confess so that you know when you're evaluating this review and deciding how much weight to give it, I'm a fan of Mitch Albom's earlier work. His writing, that is. I had my doubts when I saw that he was narrating The First Phone Call from Heaven. But those doubts quickly evaporated. He's a great reader and enhanced the listen. So, kudos there. The other question that came quickly into my mind is what happens when a sympathetic writer (Albom) portrays an unsympathetic character (Sully) behaving unsympathetically? The answer, it turned out, was subtle, but unmistakable suspense. I fell for Sully and was really intrigued to find out where the phone calls were coming from. Heaven or hoax? The telling was skillful enough that several times I wasn't sure which answer I was hoping would turn out to be true and found myself changing sides. Since I'm writing this review to encourage you to listen to the book (well worth the credit, though a departure from Mitch Albom's earlier books, in content though the Albom pathos lingers...) I won't spoil the ending. I can say that it kept me engaged right through the end and, in the end, I was satisfied. I won't be surprised if I revisit this book in my library again. I loved every character in this book. The lead character, Sully, is super well developed, you get a great sense of him as you learn about his history. The other characters in this story are what really make it great. Amy the young reporter, all the characters in the funeral home, the son, all the people getting phone calls, and I especially loved the librarian. Albom writes about people really well. I wish I could meet some of these people, I would for sure want to be friends with Amy and the librarian. 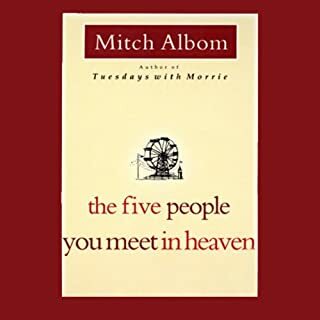 In this book, Albom adds a fun, mysterious, story that brings all these super flawed characters together in a very believable and sweet way and makes you really care what happens to them. The story flowed really well, and there were some "whoa, I didn't see that coming" moments that made it a fun ride. I was pleasantly surprised by the narration. If you are a "narrator-geek" like I am, he reminds me a little of the narrator Fisher Stevens. Albom does a nice job and it adds a personal touch to have him reading his own story. Why not five stars? While the characters were perfect, the story didn't drive forward as well as it could have. Some of the wrap-ups in the end seemed a tiny bit contrived to me. If I could give it 4 1/2 stars I would. It's a light, fun, great read (listen) that makes you feel good about, well, everything. What disappointed you about The First Phone Call from Heaven? The book started out well but failed to sustain my interest. When residents started receiving phone calls, I was intrigued, but half way through the book, I lost interest. Every chapter seemed to be the same, without a plot or character development. I finished the book by listening to it at 2X speed just to get through it. What was most disappointing about Mitch Albom’s story? It was slow. I would not recommend it. I have read two of Albom's other titles and thoroughly enjoyed them both. This book was disappointing. I didn't finish it to be completely honest. I kept waiting for something to happen or some great tidbit of wisdom or even something especially heartwarming, it never came, so I gave up. The people calling from Heaven should have something a little more insightful to say. Angels should call too, at least, if not God. No, by the end of the book we couldn't keep track of some of the characters. Got a little convoluted. 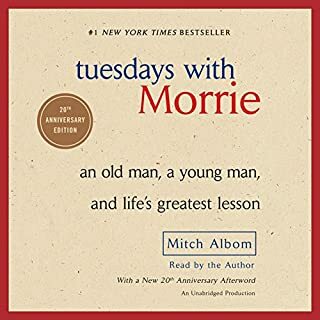 We liked "Tuesdays With Morrie" but this one didn't work for us. Best part was the true part about Alexander Graham Bell. 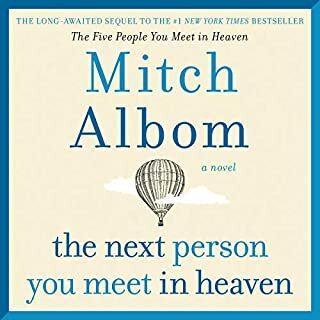 Have you listened to any of Mitch Albom’s other performances before? How does this one compare? Was The First Phone Call from Heaven worth the listening time? I was intrigued by the premise and at first it was entertaining but I was not happy with the way it finished. A cute story, predictable but with a nice inspirational twist. The first half was not so good, perhaps because it takes time to get used to the author as narrator - perhaps not the best choice in this case. I also don't like the sound effects of phones and bells ringing. The second half is better, has more of a mystery going on, and more action. 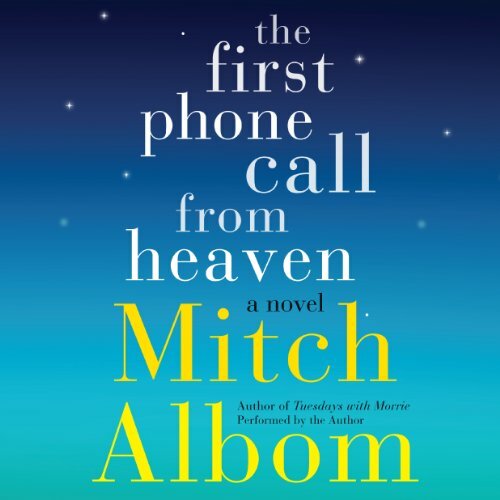 This is another great read/listen from Mitch Albom! 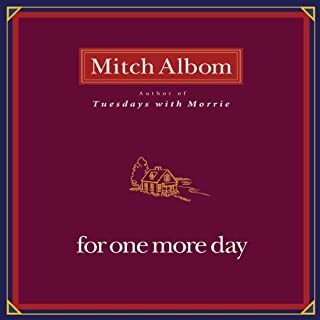 I have been a Mitch Albom fan ever since reading "Tuesdays With Morrie." I appreciate his spirituality that lacks the evangelistic religious fervor that trips up some authors. I'm disappointed in this book, however. Mr. Albom does extensive research into the development of the telephone. I learned some fascinating facts about the development of this device that we often take for granted. However, when talking about the various religious leaders, it is obvious that Mr. Albom has not done his homework - and he speaks the language of religion as though it were his third or fourth language. The story is poignant, if not surprising, and that is what carried me to the end of the book. I'll still read future books . . . but might check them out of the library rather than purchasing them.